Ikeda Manabu will be participating in “Three-person Exhibition, Forward Stroke” held at Saga Prefectural Museum on Sunday, 30th Sept. 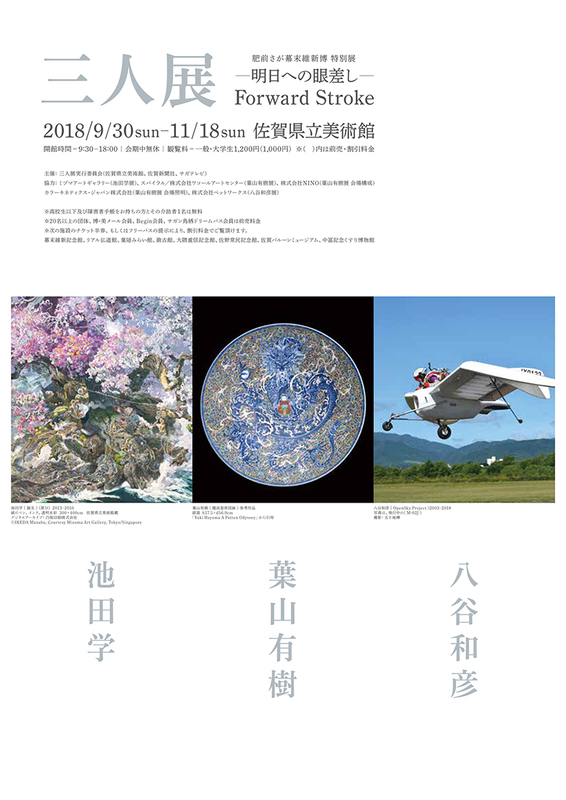 This exhibition features three artists who are originally from Saga Prefecture: Painting artist – Ikeda Manabu, Ceramic artist – Hayama Yuki, and Media artist – Hachiya Kazuhiko. Using three gallery spaces, the artist will have their own solo exhibition differing to each other. Along with Rebirth, there will be History of Rise And Fall, and Ark, as well as a series of brand new animal paintings, and a spin off work on Rebirth, which all totals about 60 artworks by Ikeda Manabu for his exhibition. *Note: No need for advanced reservation, however you will need to show entrance ticket/stub.